Hello lovelies! Well the day is almost through and I thought I already posted these. I guess that's what happens when you try to make exercising a priority for once. So let's get to the swatches..
Hello lovelies! I have an unusual (for me) mix of stamping plates from UberChic Beauty to share. I am not a team sports athlete or fan but I know many of you are so I hope you enjoy the looks I've made with the new basketball and soccer themed images. I also have a couple looks I've created with the new St. Patrick's day plate which have me looking forward to the holiday. Let's take a look..
Hello my lovely Society Sisters! I have seven beautiful polishes and one yummy sugar scrub from the March Polish Pickup to share! There is so much goodness I think we should just get right to it..
Hello lovely Society Sisters! 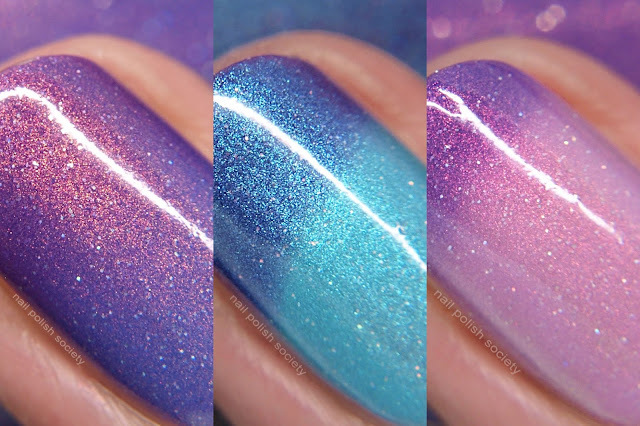 I have the CUTEST glitter crelly trio from Glam Polish to share! The Big Bang Trio was inspired by the ladies of The Big Bang Theory- Penny, Bernadette, and Amy. I am loving this finish of polish at the moment, the glitters just make me happy. A quick update about my baby in case your wondering: After a long day of administering medicine for his fever and ear infection and expelling mucus (sorry, gross, I know), he finally slept well last night! He still has a lot of gunk to clear out but is doing much better. Thank you for the well wishes! 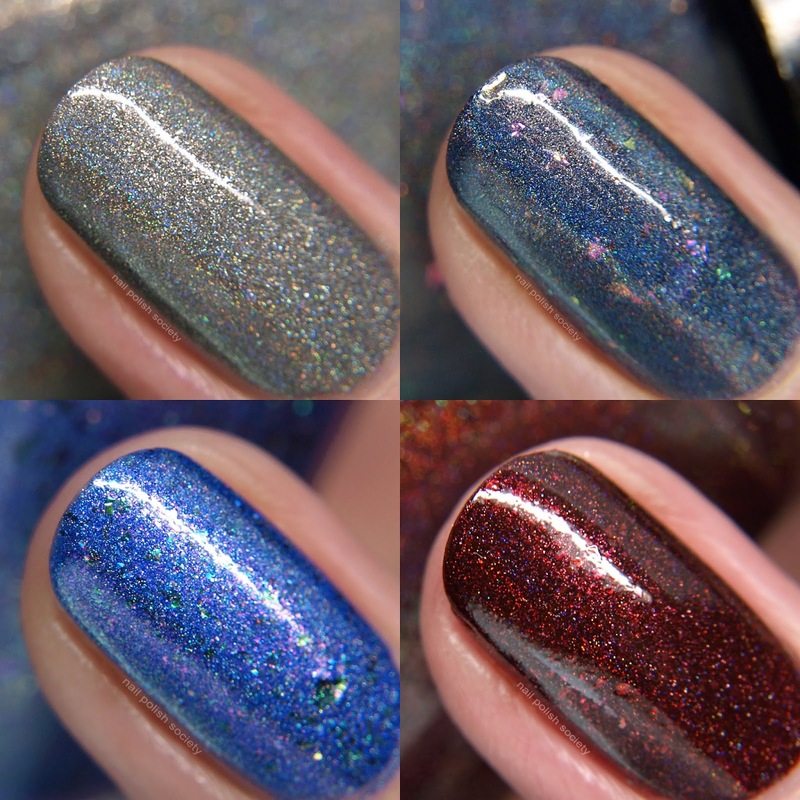 Now for the swatches..
Hello lovelies! I am so excited to share these gorgeous new shades from Emily de Molly! I've said it many times but it bears repeating, Hayley makes to most unique and unexpected shades! Speaking of, did you see the Spotlight post (you can check it out here) on Emily de Molly? While not every one is always going to be my style, there are some real must haves here! Once again, if this is full of typos please forgive me. Last night was the worst one yet with my sick baby. I took him to the doctors this morning and he has RSV :(. I'm going a little crossed eyed here so let's get to the swatches..
Hello my lovely Society Sisters! 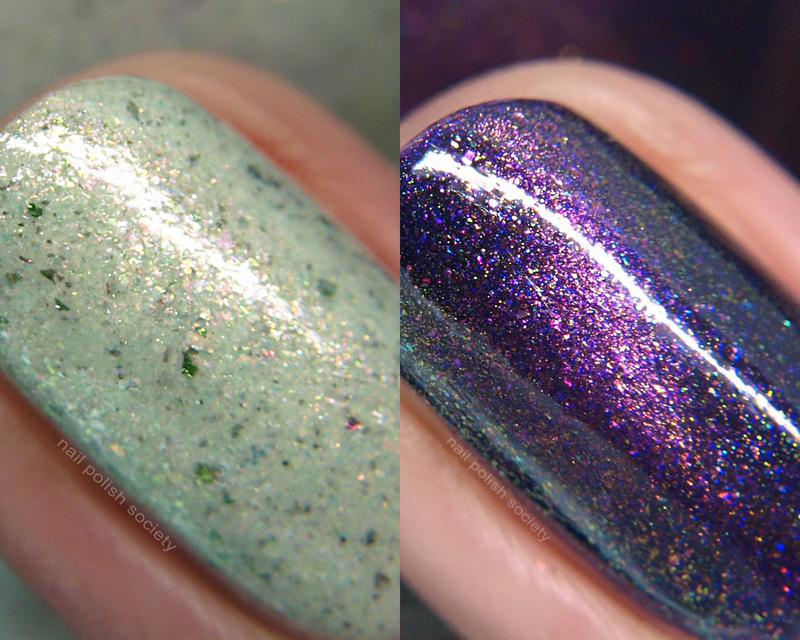 March's The Holo Hookup theme is "London Calling" and I think the polishes match it so well. Of course this is coming from someone who's never been to London or the UK, but I think I've watched enough British movies and tv shows to know ;). Also as someone who's from Seattle I think this could have worked with that city if you swapped the red shade with green. Real quick, if this post is full of mistakes please forgive my sleep deprived brain. My youngest two are sick and I am so out of it! This month the contributors are the three permanent indie brands- Cupcake Polish, Different Dimension, and Glisten & Glow- with guest brand 'Ard As Nails! Hello lovelies! 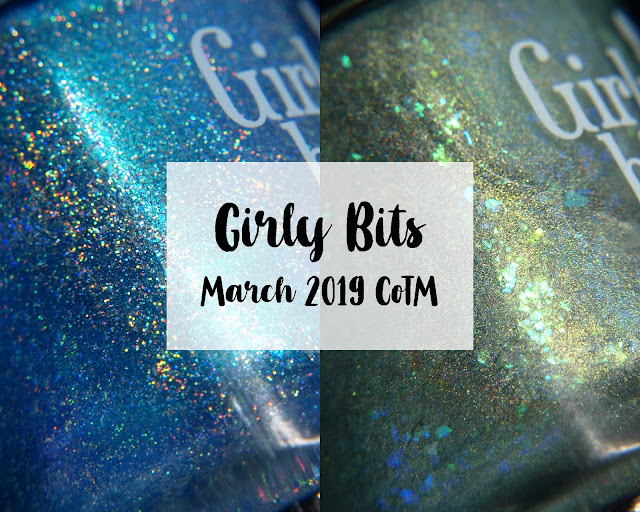 I have two limited edition Girly Bits shades releasing this month. These are available at different times and different sites so make sure to read all the info below to find out when are where! Let's take a look..
Hello Society Sisters! I am so excited for the second installment in my Spotlight Series! 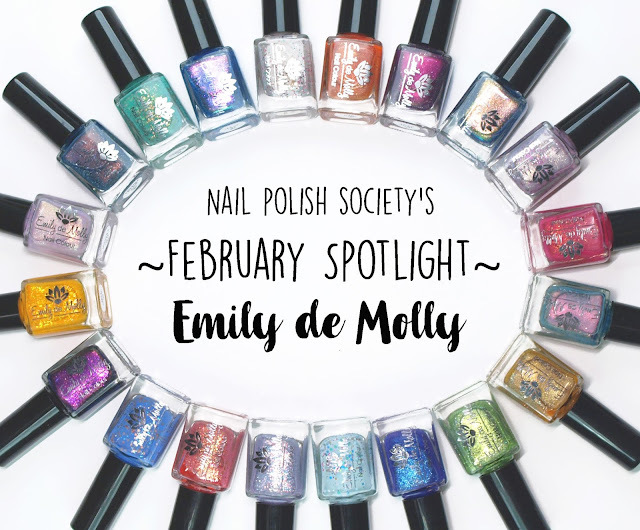 This month's spotlight is on Hayley, the talented creator of Emily de Molly. Hayley established her brand in 2012 and is based out of Canberra, Australia. She has a real gift for creating beautifully unique and unexpected shades and all of her polishes are 5-free, cruelty free, and vegan. Let's meet Hayley..
Hello lovelies! 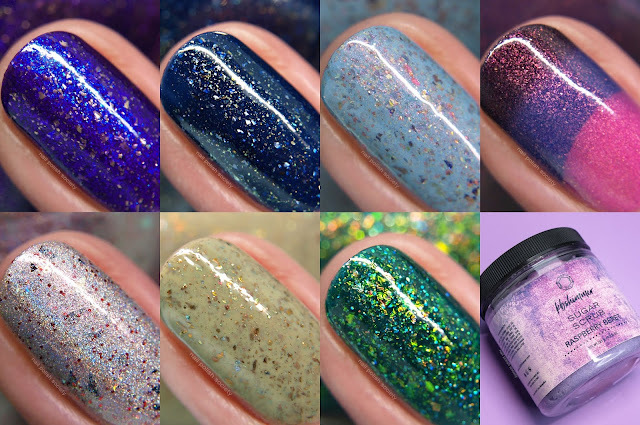 I am currently on a glitter crelly kick and couldn't be happier with these new shades from Colores de Carol! 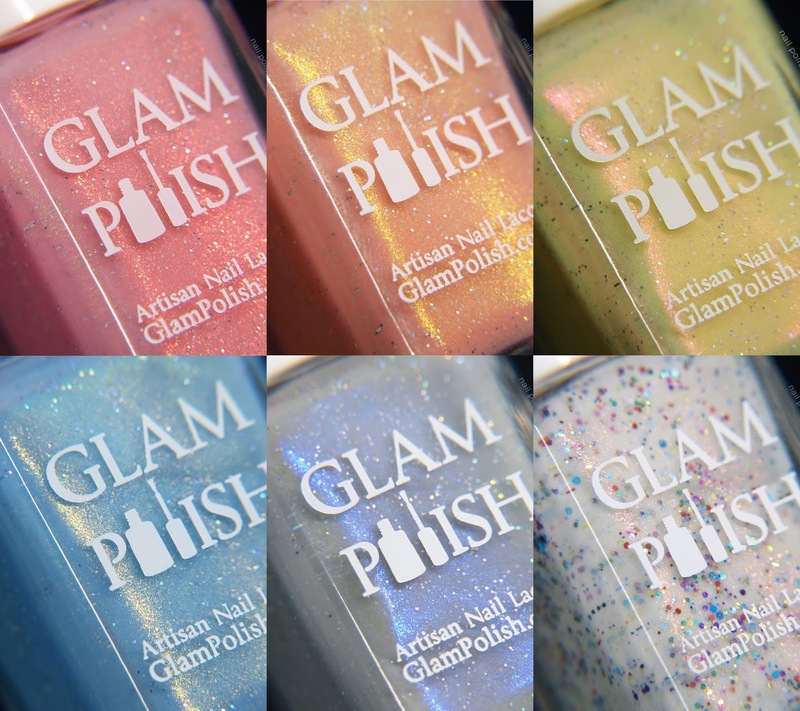 I love to incorporate these into nail art looks because there are so many colors from the glitters to coordinate with. I've posted a couple nail art manis using these polishes on Instagram (if you're not following me you should check them out!). Let's get to the swatches..
Hello lovelies! 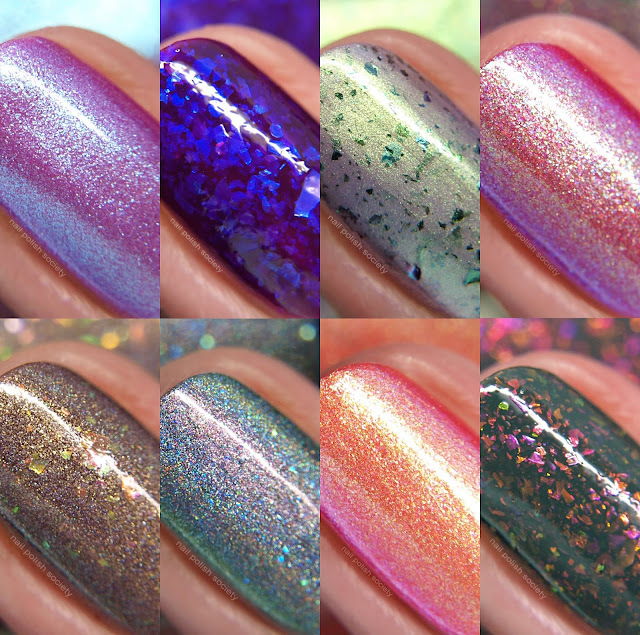 Today I have swatches of ORLY's Radical Optimism collection to share. This collection is part of the Spring 2019 Color Pass Box that also includes a full sized ORLY Nailtriation Nail Growth Treatment and a deluxe sample of Purlisse Watermelon Energizing Aqua Balm. The moisturizer has a yummy scent that I would rather have in a lip product and not all over the face, but I'll give it a try anyway. OH! And a sticker! I am obsessed with stickers and that seriously was the most exciting part about this box for me. I've stuck it to my Helmer organizer alongside my other stickers. Now let's not forget about the beautiful nail polish. I am enjoying the happy color palette and the formulas were consistently good for all six shades. "These sophisticated yet bright tones harness the power to calm the senses, while simultaneously energizing the spirit. Fresh colors like aqua blue and light coral work to alter out moods by igniting a sense of hope and renewal for the season. This spring, spark your imagination and awaken your psyche with a healthy dose a Radical Optimism." Hello my lovely Society Sisters! 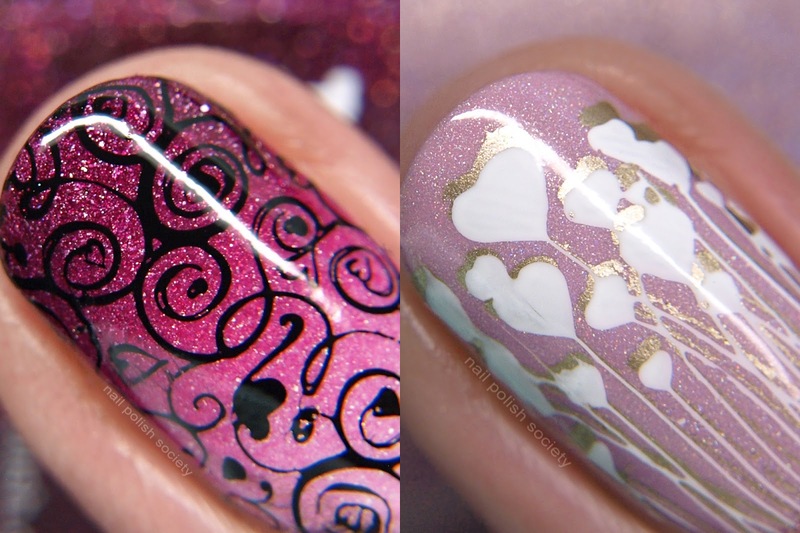 I have two Valentine's Day nail art looks to share from the new What's Up Nails B041 Season of Love stamping plate. 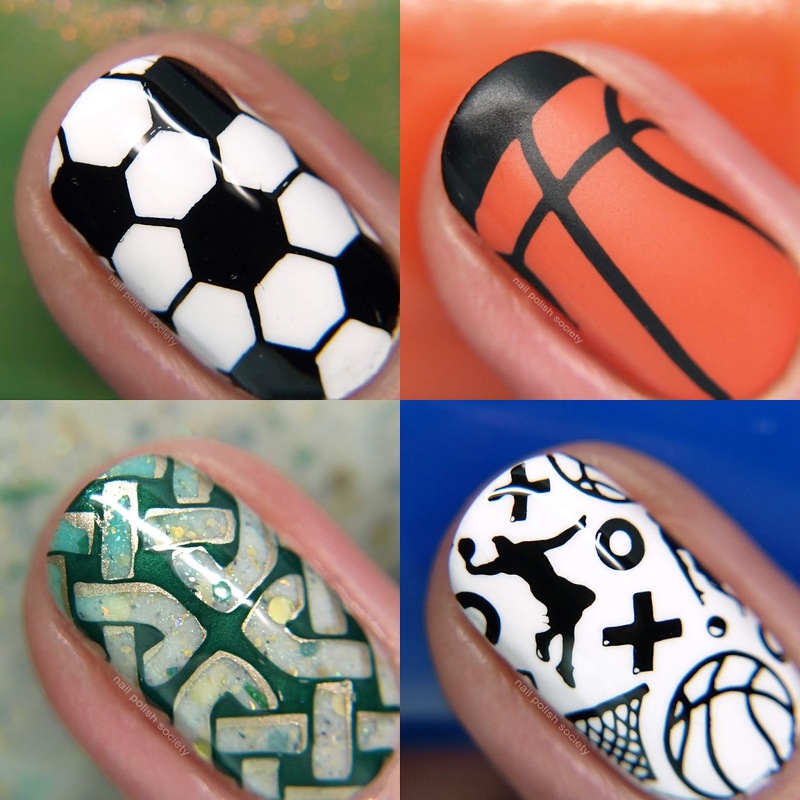 This is one of my favorite holidays for nail art! Let's take a look..
Hello lovelies! I have a gorgeous bright and happy collection from Glam Polish to share. The Hundred Acre Wood is a six piece creme/jelly collection inspired by the movie Christopher Robin. 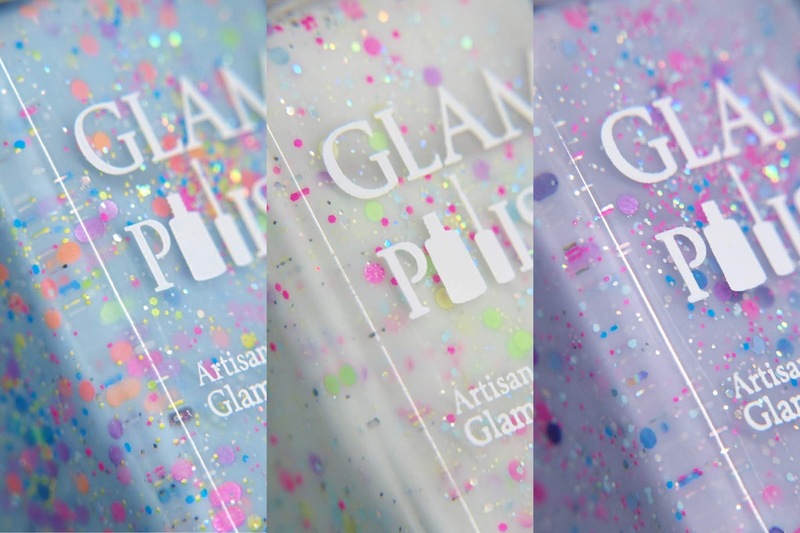 The crelly formulas make them on the sheer side which really helps that shimmer shine through. Let's take a look..